What Photography Can Learn from the Near Death of the Graphic Design Industry. Hello, I'm going to destroy an industry. I'm going to take you on a journey into the past. It begins with a recent field trip to a TV station I took my students on, in an industry not completely unrelated to photography. We visited one of my former places of employment where our guide was a coworker who has worked there for over 25 year. He made a very interesting and complimentary statement where I was credited for bring computers into the studio for graphic design work. I find it interesting to look back to the past and remember what it was like to be a pioneer in the field of design, but also what set the wheels in motion that almost destroyed the industry. When computers entered the graphic design industry, it was a revolution that stakeholders like Adobe and Apple were hot to monopolize. Meanwhile, other competitors were also hot on the heels to enter into the computerization of commercial art. Being a trained graphic designer before the advent of computers meant specialty work that was a well paid for skill (skills in details not unlike those of a watchmaker). But graphical user interface computers changed this which almost destroyed the industry in less than half a decade. Computers in the late 80s and early 90s, for the most part, were out of reach of most people and were a novelty at first. It eventually became a production tool to replace labour intensive commercial art reproduction. Production designers was a specialized field within advertising and design who took the concepts of art directors and graphic designers, turning them into "Camera Ready" artwork. Many production designers relied on phototypesetters for the creation of typography for camera ready artwork. Even in the early days of computers, it was difficult enough for a studio to afford these massive phototypesetter. Some of these units were in the hundred thousand dollar ranges. The Macintoshes from Apple started out at the $3,000 range and quickly went up to $6,500. 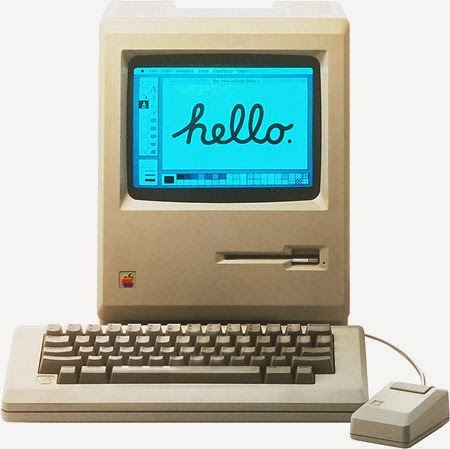 In those early days of computers, they topped out at around $10,000 for the Macintosh IIfx. However this was appealing to many studios as they could easily outfit their production departments with a computer and a 300 DPI laser printer for under $20,000. The laser printer was another revolution by Apple. 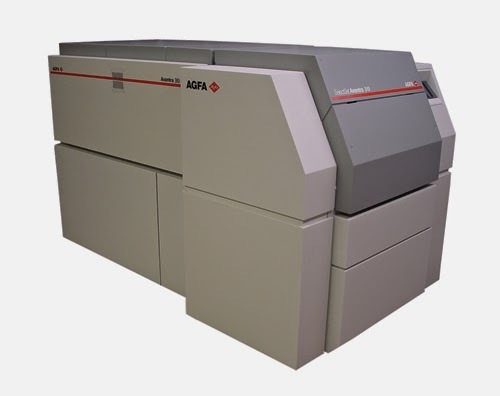 At introduction, the $7,000 Laserwritter II was the first mass market printer that produced stunning edge sharp graphics at 300 DPI. This printer not only made it possible to replace the limited and expensive phototypesetter, but also allowed for a typographic revolution in design. I started out with photo mechanical transfers cameras (PMT) and photo typesetters, and spent many hours in the dark room working with all sorts of camera ready artwork and orthographic films. I hunched over light tables, cutting and pasting (stripping) typography and building artwork directly onto orthographic film. One thing I never forgot, was how much space all of this equipment took. Computers were still a ways off from replacing all of these industrial sized tools even in the early 90s, but it was certainly setting a new trend for those interested in opening up a new cost effective studio. There was certainly a bit of denial from the industry over the emerging computer technology. We still couldn't do colour work on it, or create colour separations, an essential for colour magazine reproduction. The threat of computers wasn't much of a thought because of the quality of output. But it still set in motion the ideas of home grown studios or independent freelancers capable of delivering materials that 80% of the world could afford. Much like in photography just 10 years ago, digital cameras were just as limited by it's quality for 'professional' work. Desktop publishing in the 90s became a dirty word among professional graphic designers who felt little threat by them. Many small studios popped up overnight with a small investment in computer equipment. They could operate out of a home and fill the needs of small businesses with 'just good enough' quality flyers and materials. As computers improved, the prices of them also dropped, and in less than 5 years, the $20,000 average, dropped down to a $5,000-$6,000 investment. The software evolved, and even though Macintosh computers were already revolutionary for ease of use, the philosophy also transferred over to the software developed for it. 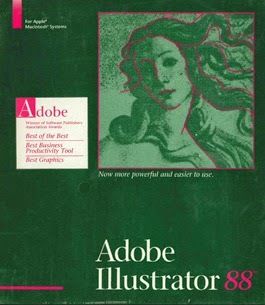 Adobe Illustrator 88 was one of the early design packages I used. The software was simple, and although it did come with a pretty hefty manual, it didn't take long for a motivated person to learn it and start making sellable commercial artwork. Something that my associates, spent countless hours at the drafting table creating with specialized cut papers, drafting tools, special cutting blades, french curves, professional gouaches, ruling pens, technical pens, etc... It really took very little mechanical skills when using Adobe Illustrator. The only saving grace was the quality of the printouts, but that would be short lived. 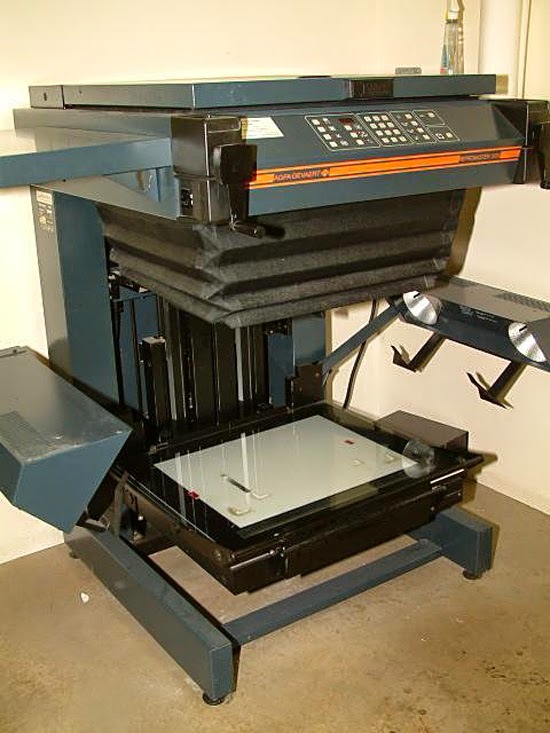 The introduction of the imagesetter (a giant version of the laser printer) would replace several devices in the typical design studio such as the photo typesetter, the PMT camera, and a UV Contact Printer. This device brought back production to a production studio, and continues to hold its ground to this day. 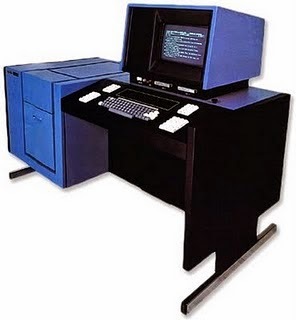 The costs of these beasts are still quite high, but how it revolutionized graphic design, was how easily it interfaced with computers. The home grown studios, now could produce artwork that was no longer 'just good enough', but could now produce artwork that was National Geographic worthy. The access to this kind of technology was probably the final nail that first set the Desktop Publishing industry as the replacement to the old and dusty design industry. Designers panicked as it took off like a runaway train. I recall participating in a graphic design equivalent Big Blue vs Human challenge. I was challenged to see if I could set and prepare a plate ready newspaper page with photos faster than the computer counterpart with a desktop publisher and imagesetter. I won pretty convincingly (I completed the task in under an hour while the computer counterpart took 6 hours). However, I certainly didn't deny the fact that technology was eventually going to replace what I could do by hand. By the mid 90s, the industry had hit bottom. Anyone who had an interest in something graphic design related, could choose to take a 3 month desktop publishing course, or put that money towards a computer system and figure it out on their own. Printers were improving rapidly, and access to imagesetters were getting more and more affordable. Graphic design studios and ad agencies were all scrambling to deal with the rapidly changing environment. Many failed to keep up and were forced to shut down. It was just impossible to compete with home grown studios and maintain the high markups they used to ask for assignments. But another major innovation was about to happen during the mid 90s that would take about a decade to mature and become one of the more important technologies to save the graphic design industry. The Internet introduced the concept of electronic publishing on mass. Desktop publishers who basically dominated the small publishing industry, saw a new opportunity in Web design. But this also became an opportunity for graphic designers to also compete for the same kind of work. Over the course of 5 or so years, both disciplines competed against each other. With desktop publishers abandoning the traditional medias, it allowed graphic designers to return to small publishing, once again showcasing their skills and value. Over the course of several years, it became apparent that a machine or software did not replace the training behind the skills of a designer. Although the 90s had educated a lot of poor or low quality desktop publishers, it also eventually seeded a return to well thought out designs that helped set businesses apart from their competitors. The value added service of a fully trained graphic designer returned to focus, and although I would be hesitant to say that it has done that completely, the corporate consumer certainly appreciates them over inexperienced self-taught computer operators. The desktop publishers from the 90s evolved with the web. They got more training, and many with experience became graphic designers in their own rights. With the evolution of desktop publishing it eventually got reabsorbed back into the design industry. Instead of competing against graphic design agencies, it was welcomed back as a necessary skill set in for any graphic designer. In more sophisticated agencies, the traditional production designer merged with desktop publishers. The reunification of design skills was complete. Although there is still a strong self taught industry out there, the most important thing that came from the past 20 years, is the public perception that anyone can just press a button to create. It takes training, experience, and knowledge to succeed. Today, photographers are faced with a grim reality that their industry is no longer an occupation that is sustainable. With cameras coming on everything from your phones to your TVs to high resolution video cameras at street corners, it seems at least for this moment, that it doesn't take any skill to be a photographer. and troubling trend in publishing these days. 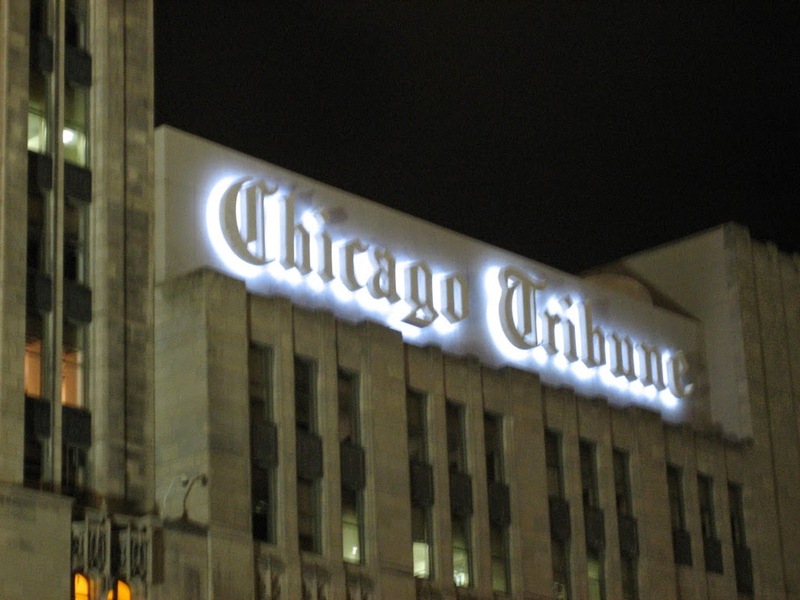 Newspapers (and magazines) all around the world are letting go of their photojournalists, and are crowd sourcing submissions from the over sharing public, rather than have staff photographers rush out to get the images for their stories. It should come as no surprise that with the web, media is disappearing quicker each year, and they need to find ways to keep costs down. Professional photographers today, compete against hundreds of amateurs who picked up a $600 set-up and do it on the side. How does a professional photographer pit their $3,000 photo packages against a $500 price point? Businesses are no longer hiring photographers to photograph their products or locations because they just ask someone internally to do it for them. They feel they are giving budding amateurs an opportunity to build their portfolios, while the businesses get those images for free. Even fine art photographers are not completely immune to this. The over sharing public utilizes photo sharing websites, that gives access to cheap affordable fine art worthy prints without needing to pay high prices for a specific fine arts photographer. For example, it is much harder for fine arts photographer that used to make $700 from a $1000 print to compete against photography websites that offer photographers $25 to $50 on a $350 print that is delivered directly to a customer. It all seems very bleak for photographers these days. But I remind myself of what happened to the graphic design industry 20 years ago and expect a similar and necessary revolution for photography. What can we learn from the past in the graphic design industry that will help a troubling photography industry? So many places to share your life online. Too often I hear the question asked by instructors about who wants to become a professional photographer, with the answer being negative and mostly demotivating. Although it's hard to disagree with that sentiment, it certainly comes off a bit defeatist. Although many graphic designers did not survive the changes that computers brought into our industry, those that weathered the storm has come out into a time where they can now benefit from it. Photographers need embrace the same revolution and evolution of their industry. Graphic Designers made the mistake by not reinventing themselves when computers first came out. They set it aside and only embraced it as a specific tool in the corner of their studios. It was a slow transition that required another new revolution in design (the web) for them to finally embrace and evolve from. Photographers need to embrace and accept that this is the way things need to be done. Don't get confused that a $3,000 per wedding photographer needs to drop their prices to $500. They need to embrace new techniques, and current trends to bring value to what they do. They can no longer hang on to the traditional ways and they need to understand that consumer needs are changing. I know many experienced wedding photographers who are taking lessons to be graphic designers. Why? Because they can design a custom photo album that no website could ever produce from an overly used template. These wedding photographers ask $5,000 or more just for designing the albums. If over sharing is what the public is doing and desires, then the pro photographer needs to be a part of that. 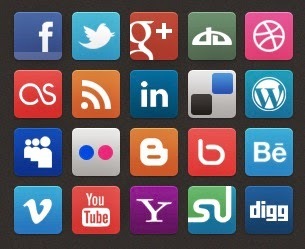 They need to be plugged in to social media not just as a consumer, but as a participant. Want to show off how good of a photographer you are, then show off the skills by hash tagging, and tweeting about a wedding shot you just took a few minutes before you uploaded it. It is very similar to setting up a photobooth at a wedding, but now, it's live and open to the Internet to see it as it happens. Instagram is a look that makes photographers cringe. Regardless of the trendy hipster effect it creates, it's a popular look that the audience loves to see. Pros needs to embrace it and make it part of their tool kit. Can they share a much better Instagram filtered version from their pro equipment? With wi-fi cards and wireless tether support in the latest cameras, they can and should. But the point is not to allow it to be just a trend, but a way to show how the photographer is skilled by taking that medium to the next level. Like the web design, this is an opportunity for professionals to show off their technical skills. The web saved graphic designers because it allowed designers to show the value of good design over poorly executed web designs. Photographers need to understand that the Internet is equally their tool and not just rely on their cameras. Building a career in photography is not easy. It never was or ever should be. Like graphic design, it has evolved and gotten more complicated. What I teach in my college program is several times harder than what I learned almost 30 years ago. Today's professional photography like graphic design was, is equally harder than what it was 30 years ago. Certainly the dark room and all the technical jargon that went along with understanding how a light meter worked, how to use studio lights or all the chemistry know how is part of the pro photographer's past. I'm not saying that this was easier than today's tool kit, but it has been replaced with a different paradigm in how we use the technology and equipment. Even though it seems that anyone can press a button and take a 'good' picture, the skill of making it a success still relies very much in the work put in by the photographer to market their skills. What about the relationship between graphic designers and photographers? Even that has changed a lot in 20 years. I art directed many photographers over the years, but eventually took photographic control over that and these days also train my students to be hybrid designers that are skilled in commercial photography. The ignorance by past photographers of changes in their industry has fuelled an unnecessary hatred towards art directors. The progressive photographers that evolved, learned to speak the language of designers, maybe even taken a course in it and priced their work more efficiently, all benefited and continue to work well with designers and art directors. Much like the blending of graphic designers and desktop publishers, photographers also need to communicate that their skills are still relevant and important in that industry. The successful photographers are able to communicate to agencies that they are required, and rather than have the agencies use their internal staff to do the photography, pay a decent fee to a photographer who isn't hung up on ownership or licenses but showcasing that they truly understand the needs of the agency through their skills and professionalism. I do foresee, a public perception change where the cameras doesn't just take good pictures but the pro photographer is the one that takes good pictures. Meanwhile, photographers can't panic. They must learn to evolve and embrace the change in the industry. Is that photographer winking at me or is he taking my picture? 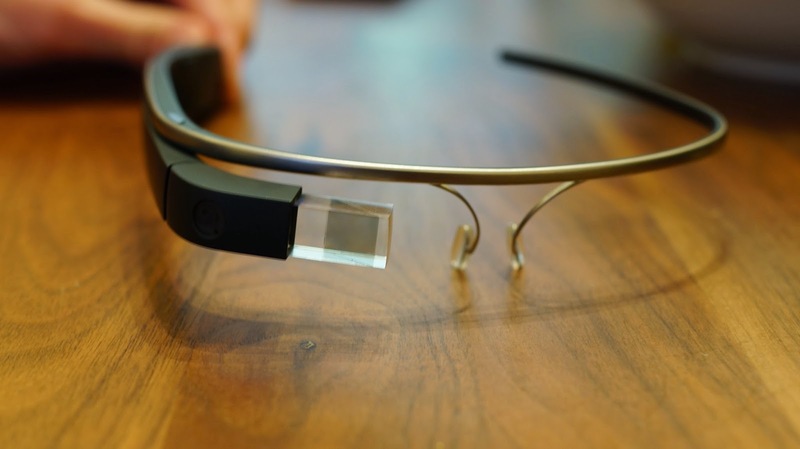 I certainly don't imagine myself wearing heads up display camera like google glass, running around looking like an idiot at a wedding winking at all the guests. But even so, if that's where the technology takes us, I will certainly reconsider and should be embracing it. What is the most important point in the survival of the photography industry will always be about showcasing the photographers abilities, no matter what tools is in use. It is such a change, and what occurred over decades in the past, are now occurring even faster with the way that technology is changing. Change is happening so quickly now, that if you don't keep up with it, your left behind - unfortunately, with change that quick, it becomes trying to keep up with the latest fad... Anyone remember mySpace? or dial-up Prodigy? or my BBS in the early '80s? I love the changes, I hate the changes; it's the next greatest thing. That's why I ultimately endorse your statement, "But if that's where the technology takes us, I certainly consider embracing it" (emphasis added). It's like the old military saying, "Pick your battles - and in the end, hope that you picked the right ones to win the war."